This is one of the most important benefits of Salesfundaa CRM software. It is more time saving when you can capture customer feedback automatically. It expedites the decision making when the software suggests the next best thing to do based on customer complaints or suggestion. Salesfundaa CRM software helps an organization to streamline business processes. It gives business process a standardized format and automating sales, marketing and service processes helps to reduce human error. The automation can take care of sending emails, letters and customized gifts to your customers without fail. It increases productivity, speeds up business processes and improves customer satisfaction. The reason behind most leads never converting to sales is lack of lead nurturing. Deploying a Salesfundaa CRM software gives the right platform to nurture leads in order to convert to sales as it facilitates all steps from lead to sales and increases the ratio of conversion. It tracks all customer interactions effectively. Industry is different and therefore the requirements or features of a CRM may be different. You can customise the software as per customers business requirement. So a Salesfundaa CRM software is a useful tool for all industry types. 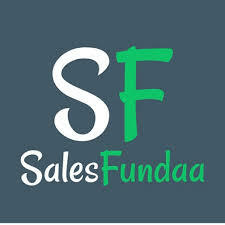 Using ,Salesfundaa CRM software business can define various rules like product compatibility & eligibility, validation, up & cross selling as it considers other factors like zone, country, industry, age group etc. Salesfundaa CRM software Sales process automation essentially helps salespersons to track and communicate with all leads. It helps to complete the sales process quickly and efficiently as complete case history of the lead can be viewed and juggling between these views can be fetched at the click of button as opposed to spreadsheets that require complex methods to view the details. This facilitates shorter spans in the sales cycle and faster conversion rates. Segregation is on the basis of age, gender, buying pattern, geography. This helps business to reach more targeted customers and increase sales. Salesfundaa CRM software can help you a lot here. It captures and analyzes customer data, coming from various sources it then segregates customers into groups as per business requirements. This is very useful for organizations to develop new product, set product price, run campaigns and decide service methods. Marketing campaigns are primary steps to reach potential customers with your products. They naturally should be flawless. Customer segregation and campaign management are almost correlated. Customer segregation can help to identify your target group and campaign management helps to analyze data and run campaigns. Salesfundaa CRM software leverages the automated process in achieving efficiency of marketing campaign. Salesfundaa CRM software reduces the campaign cost, analyzes campaign data and forecasts future marketing strategy. A well defined marketing strategy with Salesfundaa CRM software helps business to get more qualified leads than traditional campaigns. Good customer service is an important aspect in customer relationship and retention. A Salesfundaa CRM software can automate customer service processes. It helps to deal with customers’ complaints or suggestions more effectively and quickly. Call 9235 35 35 35 for a free demo of the SalesFundaa CRM software Today.